Professional grade balance disc with pump. 13 inch diameter for stability and balance. 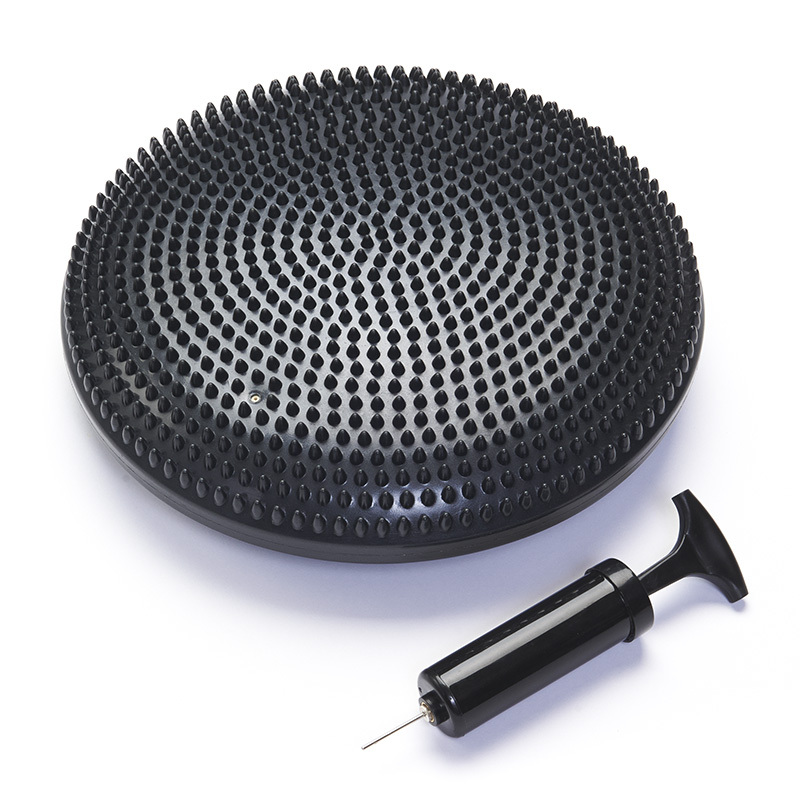 Large massage spikes for maximum grip. 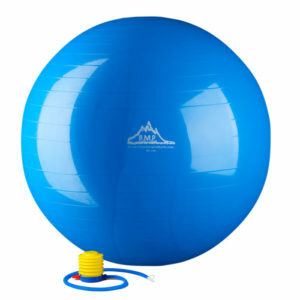 Helps improve balance, coordination, and flexibility. Black Mountain Products offers lifetime warranty. Black Mountain Products professional grade exercise balance disc is made of heavy-duty material for home or gym use. Each balance disc has massage spikes for comfort and maximum grip. With each balance disc a hand pump is included for easy inflation. Wobble discs help improve balance, coordination, flexibility, and core strength. Designed with a 13inch diameter base, each stability disc has ample room for all types of exercises. Perfect tool for flexible classroom seating. All Black Mountain Products comes with a manufactures warranty. I use this balance disc in my first grade classroom with a child who has ADD. It helps him get his wiggles out while he is working and he can focus better throughout our day. I purchased this disc after using the one at the gym at my workplace. I have been using it for several months and glad I was able to try it out before purchasing. The only reason for this is that I am a big guy and never would have thought this would hold my weight without bursting but it does. The one I purchased is no different; it is well built and is holding up nicely. Great for stability training and I noticed it works a bit of the core as well. Really simple function and design. Very good product. These work wonderfully for flexible seating at schools. The company is easy to work with, and the warranty on their product is great! Our school is very impressed by these products they are so helpful as well on the phone with us and deciding what is best for the students ! “Lift, spot, stretch, or stand on a disc.” These words were repeated every day during summer conditioning in the weight room long, long ago. Now, as an adult with an in home gym, I wanted a disc to work on single leg stability. Alas, as a gift I received not one, but TWO discs. One went right to the gym where it was as if years had not passed as I jumped aboard with single leg balance exercises. The second disc? I am sitting on it at my desk chair as I type and it has greatly improved my posture and comfort sitting. Who knew it was so versatile. If you could not tell, I highly recommend these discs. Thank you! I just bought these for my 1st grade classroom to build on my flexible seating options. 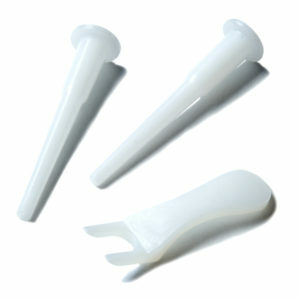 They are study, durable, and the kids LOvE them! These help my students move and wobble while focusing on lessons and classroom instruction. Every Monday when closing their weekly seating option, the balance discs/wobble cushions are the first to be taken out of the stools, stability balls and chairs with a pillow. The children take them all over the school. They are being used on the learning carpet, small group instruction, centers and table work. It not only helps keep them focused but allows them to build their core strength while learning. 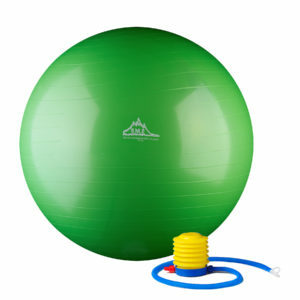 These are a must have for any classroom with students who learn by moving or have a lot of energy. No learning time is wasted after getting these! I first used the balancing disk at my chiropractor’s office, and they recommended I buy one for home use as well. I love it! 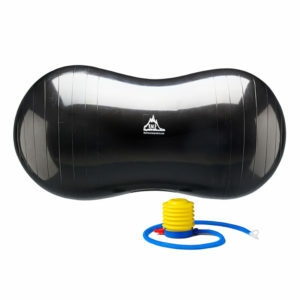 It works great to loosen up the lower back especially and reduces my pain and stiffness. Highly recommend. Great price, great product. I ordered 5. Love that the two sides have different textures. My 2nd grade students love them! Would recommend! Use these in my special needs classroom. Helps the ones who like to move around in their seats. Very easy to clean. Just bought for my son to make him keep focusing during doing his homework. It works. This is a great product! Exactly what I needed for my workout routine. The pump works nicely as well and allows you to adjust it to your needs. I purchased this disk along with a stability ball for my knee injury and I could not be happier with the quality of this product! I would recommend this to anyone in need! Love it!